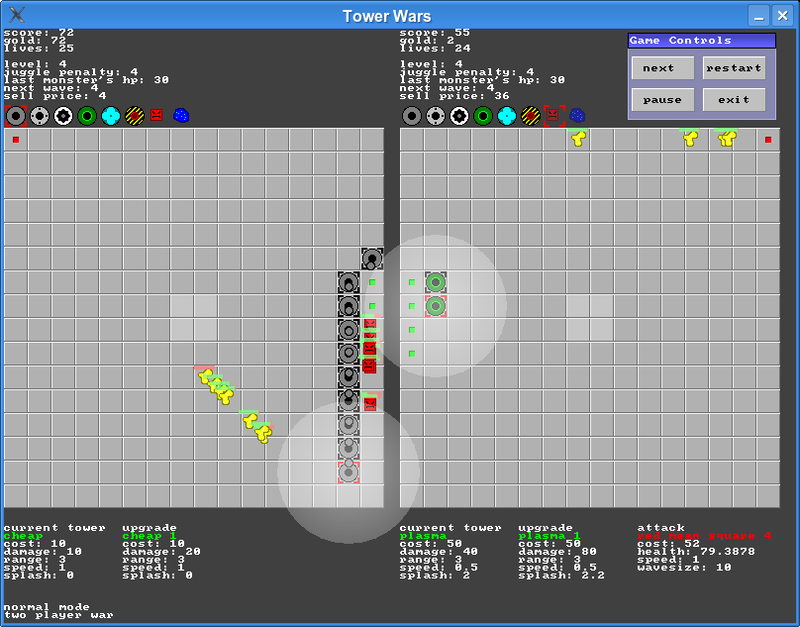 Torenoorlog a tower defense game for two players. Two people can play on 1 computer and compete against each other, building towers to defend against waves of monsters, or using the money to send extra monsters to the opponent instead. 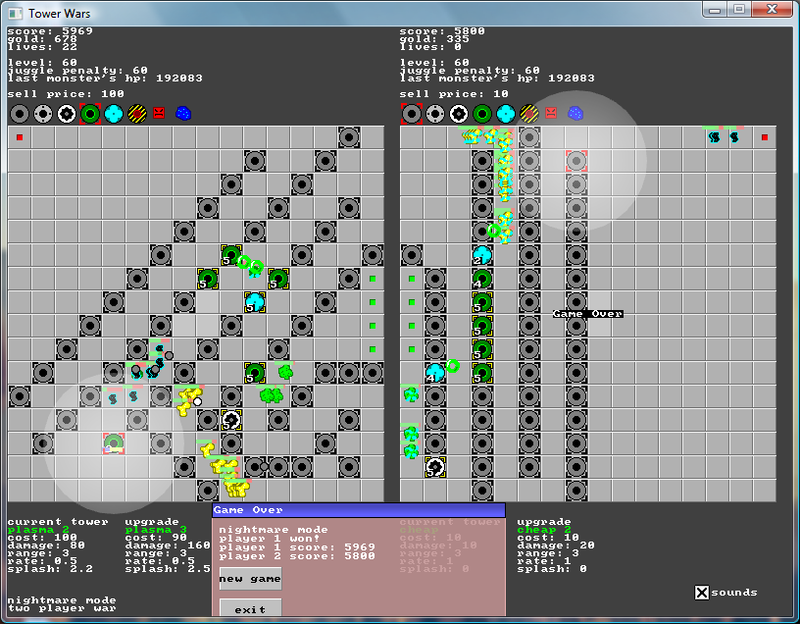 There's also a single player mode. The latest version can be downloaded here: Torenoorlog_20071212.zip. There's a Windows and a Linux binary included, as well as the C++ source code (under GPLv3). A manual that explains all the controls and so on is also included (manual.txt).